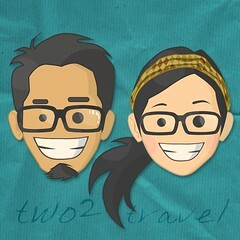 Here’s one photo contest you might be interested in. 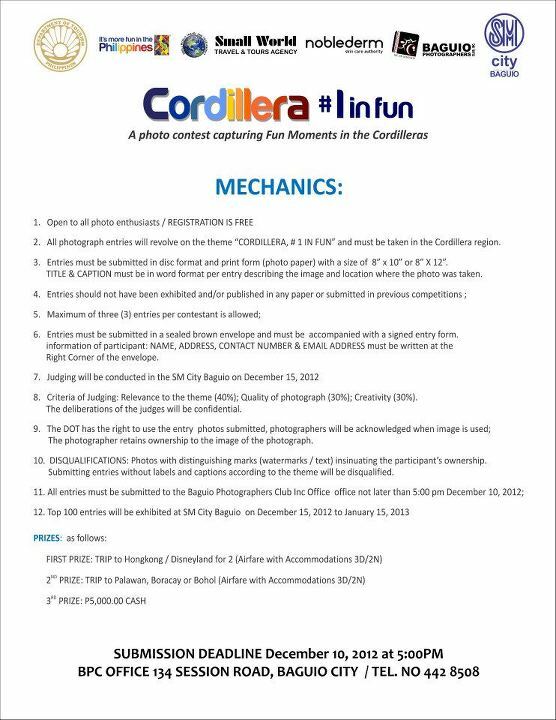 The Department of Tourism-Cordillera is holding a photo contest dubbed Cordillera #1 in Fun. 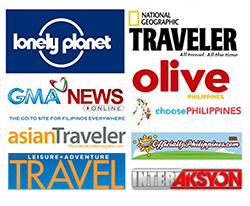 So when we say Cordillera, we mean Benguet (which includes Baguio), Abra, Apayao, Ifugao, Kalinga and Mountain Province. The mechanics didn’t identify inclusive dates the submitted photos must have been taken, so it’s safe to assume they’re allowing archives. For those who are interested, below are the full mechanics. 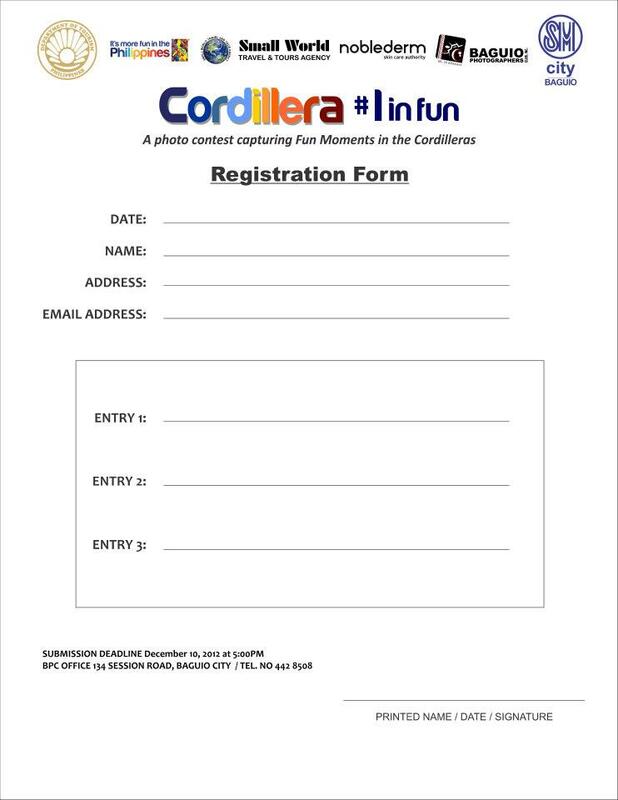 Deadline of submission is 5 PM December 10, 2012. If you’re having issues downloading, shoot us an email or comment and we’ll email you the form.